Six games ago Australian one-day captain Aaron Finch was man of the match and while his form has gone in to free-fall Victorian coach Andrew McDonald says persisting with him is a must to defend the World Cup. 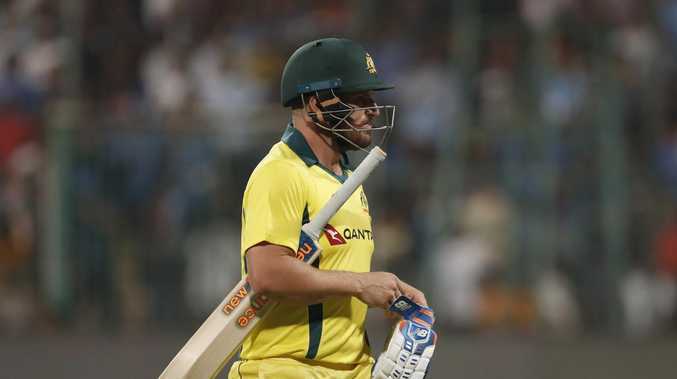 Finch will face India for the 12th time in a row at international level on Tuesday in Nagpur with the fervour to punt him from not just the captaincy but the team growing just months out from the tournament in England. The opener, who pounded three ODI centuries for his country in 2018, scored 41 against South Africa in Adelaide in November to guide Australia to a rare win, but hasn't passed 14 in five 50-over games since. Four of those were against India, as were his past four T20 innings and all six at Test level. Finch has faced the same bowlers since early December, and been dismissed by seven of them. Jasprit Bumrah has got Finch out four times in that stretch. The absence of a clear captaincy replacement, despite calls for Glenn Maxwell to take over, has been seen as a saving grace for Finch who has been backed by coach Justin Langer. But McDonald said Finch's record for Australia demanded respect, and patience. "He's got 11 hundreds in 100 games, and 18 times he has passed 50, so one in every three innings he makes a significant contribution to the Australian cricket team," McDonald said on Monday. "It's about him trusting his game and believing he's still good enough. I'm sure he still does, and I do too." McDonald said Finch was enduring a period unlike anything he had ever experienced, having jumped between all three formats since his Test selection last October. 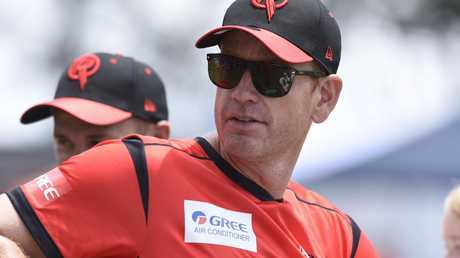 But the Victorian coach, who has guided his team to the Sheffield Shield, the domestic one day title and the Renegades to victory in the Big Bash, with Finch as captain, said support was the way to get the best out of him. "He's had a lot of challenges that he hasn't had presented at other times of his career. Most times in that situation good players come out better and I'm hopeful they keep persisting with him," McDonald said. "I think he's good enough, his record suggests he is. "His numbers are good in England and he's a matchwinner. If the scores are going to be 300-plus at the World Cup we are going to need some guys at the top of the order that can score at a decent rate, and he fits the bill."